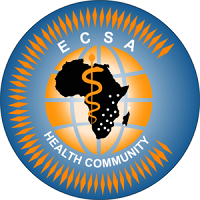 position is tenable at the ECSA Health Community Secretariat in Arusha. Tanzania, Uganda, Zambia and Zimbabwe. three year renewable contract and will be based in Arusha, Tanzania. the development of accurate plans and budgets for all the activities. are kept of the process and that the internal processes are respected. support the agreed the designated project activities as required. v. Prepare monthly GF recurring journal entries. vi. Track fixed assets and record depreciation. viii. Maintain the Journal for all Bank accounts. ix. Process client invoices for assigned projects and activities. x. Assist with the month end closure of the books of accounts. timely manner for the GF project. well as the Finance & Grants management officer at ECSA-HC. appropriate financial statements are accurately produced. procedures for the GF project. of the relevant benefits package for the GF project staff. the ECSA and GF regulations. iii. Providing requisite logistical support to GF activities at ECSA HC. Economics with a bias in Accounting or its equivalent. data into an accounting system. performance and subject to availability of funding. The ECSA Health Community is an equal opportunities employer. Female candidates are particularly encouraged to apply.